If you are looking for information on the Dogsmith franchise business opportunity, Dogsmith franchises or Dogsmith franchising, then you have come to the right place. 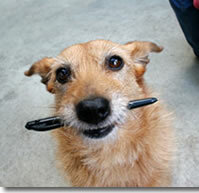 Do you long for a career combining your passion for animals with an independent lifestyle? Would you like to feel the pride and satisfaction of building your own business, a business that can make a difference in your community? Look into the mirror; do you like what you see? Are you tired of telling yourself, "maybe someday?" Well today is the day to invest in yourself. Control your destiny with The DogSmith. Take back ownership of your own life and act now. Don't regret what might have been. Call TODAY! Learn more about The DogSmith, Dog Training, Dog Walking Pet Sitting, Pet Nutrition and Pet Waste Cleanup business. Our 888# gives our franchise owners direct access to experts in every aspect of their DogSmith business. Whether you're calling for marketing advice or help with a particular training challenge our 888# gives you easy access to the answers you need, when you need them. The backbone of any successful franchise is training. And when your business is dog training, the learning never ends. With the most cutting-edge, progressive and effective methods in the industry, The DogSmith is committed to ensuring that our franchise owners are perpetually at the forefront of our industry as innovators and leaders. All of our franchise owners enjoy the "economies-of-scale" savings provided by our negotiated pricing and bulk ordering of marketing and support materials. Because we negotiate with all of the vendors on your behalf, you are able to buy ongoing supplies at considerable discounts. As you begin to master our marketing systems, you'll want to develop new and creative ways to reach beyond your local market. Our resident experts can help you negotiate booths at a local fair or help you produce a new mail-out marketing piece. As you expand, you'll have complete access to our catalogue of flyers and brochures, coupons and direct mail pieces, newspaper and periodical literature, camera-ready ads, press releases, broadcast quality audio, internet ads, press copy and video infomercials and, much, much, more! 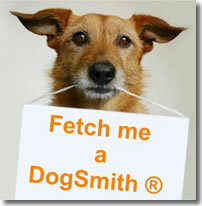 Each DogSmith Franchise is given several pages on the DogSmith website. The landing page features your bio, access to your service offerings, pet care reservation forms, group class signup links and much more.